There were some impressive performances across the two days, especially in the sprints, with Jhevaughn Matherson, Christopher Taylor, Tyreke Wilson and Kevona Davis among the highlighted performers. Matherson, who will represent Kingston College at Boys and Girls Champs later this month, posted a flashing time of 10.25 seconds to win the Under-20 100m final. 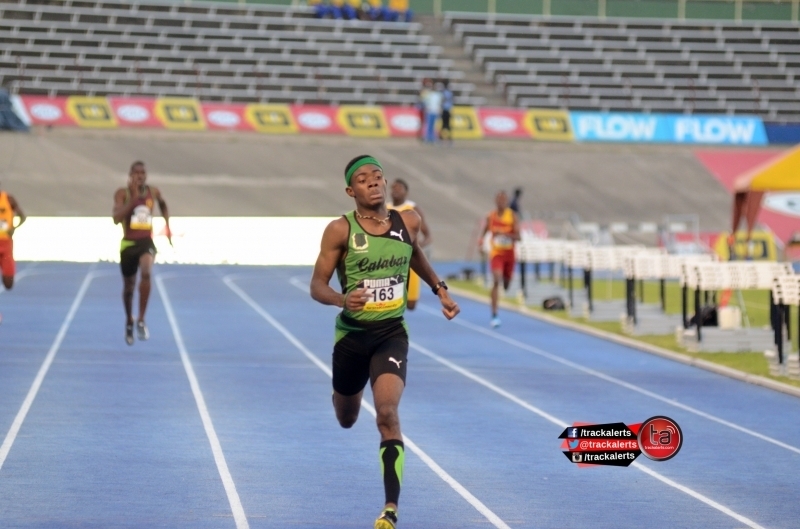 Tyreke Wilson of Calabar took the Under-18 boys’ final in 10.57. Meanwhile, the Under-18 girls 100m final went to Edwin Allen sprinter Davis, who stunned the favourites with a personal best 11.43 to take to punch her ticket on the team. Florida-based American-born Briana Williams, who is coached by four-time Olympic medal winner Ato Boldon, was second in 11.66. The U-20 race was won by Kasheika Cameron of Edwin Allen. Another stunning performance came from Calabar’s Christopher Taylor, who posted a time of 45.41secs to win the U-20 boys’ 400m final. “The plan was just to come out here and run hard and that’s what I did,” he told journalists in a post-race interview. “I am very pleased with the time, but my coach was surprised because he is saying that I am way ahead of where he was expecting me to be. “Some things happened last season and I had to take care of them, so there was no problem in me getting some rest. No injury was involved,” he added. Former St Elizabeth Technical (STETHS) star Junelle Bromfield, who is now representing the University of Technology (UTech), came out on top in the girls’ U-20 event, winning with a time of 52.75 seconds. Kimorla Muchette of Edwin Allen was a distant second with a time of 54.07.